Discussion in 'News in Nigeria' started by djayz1, Oct 2, 2016. In continuation with the operations against livestock rustlers, armed bandits and kidnappers within its area of operations, troops of 1 Division Nigerian Army, have conducted clearance operations within Kaduna and Katsina States. 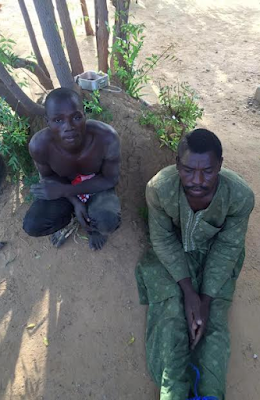 In Katsina State, the troops carried out joint patrol at Nashambe village near Karoki in which 2 suspected livestock rustlers, Mallam Lawali Nakaduna and Yahuza Suleiman were arrested in Jibia Local Government Area and handed over to the Nigeria Police. The troops also arrested a notorious livestock rustler and armed bandit, Gide Maikwasara, who was shot while attempting to escape. The troops recovered several empty cases of 7.62mm (Special) ammunition, 2 Dane guns, 1 cutlass, a knife and local charms. In Jajaiye village, Shinfida District, Jibia Local Government Area, troops arrested 3 suspected collaborators; Alhaji Muhammadu Jammu, Sani Jammu and Garba Bammi, while others fled deep into the forest. 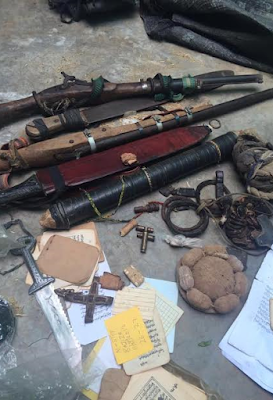 The troops also recovered 1 locally made Dane gun, 1 Cutlass, 1 Sword, an Axe and Arrows. They also recovered 137 rustled goats and 157 sheep. The suspects and the recovered animals have been handed over to the Nigeria Police in Jibia. The troops have embarked on aggressive patrols of bandits prone Local Government Areas of the State such as Dandume, Jibia, Kankara, Sabuwa and Safana. In Anchau and Kubau Local Government Areas of Kaduna State, it was discovered that the some of the local vigilante collaborate and supply information to the armed bandits. One of the arrested suspected collaborator and informant, Musa Magabe stated that he supply information to the bandits on troops and security agents movement and often points residence of uncompromising vigilantes and leaders for elimination. He further stated that he pass information to armed bandits in Falgore forest. The suspect is further being investigated and efforts are on to prevent such through proper screening of local vigilante.